Becoming a bat mitzvah is a very special time in a young woman's life. Making sure you have a great party to commemorate this day is important as well. It can almost be as exciting as getting ready for a wedding! We thought we'd give planning a bat mitzvah party a try, and choose an on trend theme to match. 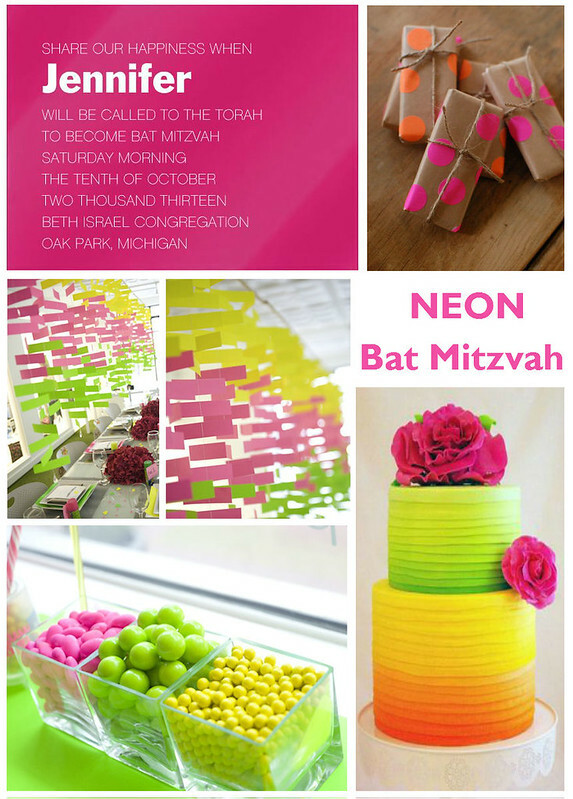 Celebrate your bat mitzvah with a neon theme. The colors are bright and definitely will be remembered by guests for years to come. Neon is a hot trend in fashion and design this summer and will continue to be popular. You can downplay the neons with easy neutrals, or amp up the volume with black lights and special effect lighting. The choices are endless when it comes to this theme. What ideas does this spin for your next event? Let us know your ideas in the comments below!